Former NFL quarterback Colin Kaepernick will be immortalized at the National Museum of African American History and Culture, according to a curator who made the announcement Friday. 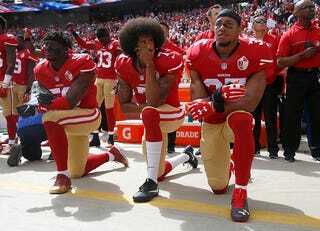 Because of his kneeling protest against police brutality during the National Anthem during the 2016 NFL season, items from the 29-year-old will be part of a Black Lives Matter collection, and not a separate one, as had been previously reported. The items that will be part of the display—within “one or two years,” Thomas has previously said—include a game-worn jersey, shoes and a picture donated by noted sociologist Harry Edwards.